Transparent finishing coat, free of aromatic hydrocarbons. For coatings on untreated and varnished or lacquered wood surfaces. As a transparent coating on iron, steel, aluminum (not anodized) and copper (Caution: No corrosion and oxidation protection). For additional transparent coatings on varnished or lacquered, dimensionally stable wood surfaces. Used for additional transparent finishing on suitable enamel coatings (e.g. Capalac Dickschichtlack Glimmer / Mica), providing a higher mechanical resistance, better cleaning properties and better weather resistance. 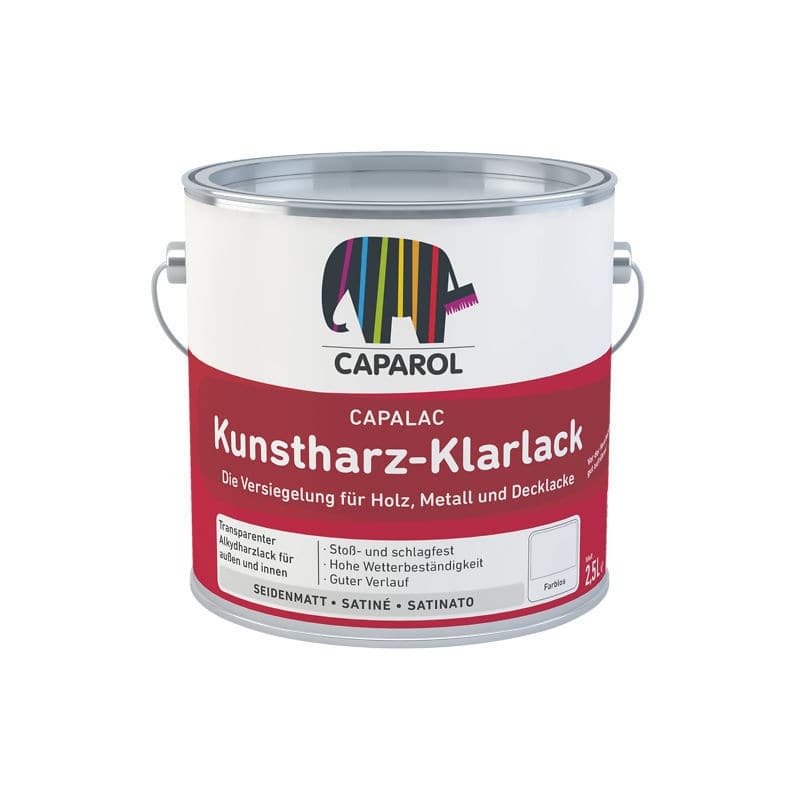 For extensive, large-area interior surface coatings the use of Capadur Parkett- und Siegellack (parquet lacquer & sealer) is recommended, due to the odour, typical for alkyd resin enamels. Resistant to normal household cleaners and short-time resistant to weak acids and alkalis. Alkyd resin, solvent-based, free of aromatic hydrocarbons.